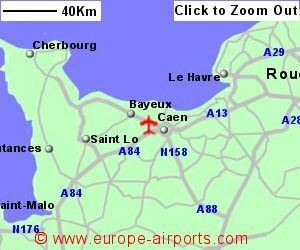 Find and compare the best prices from a range of well known car rental companies at Caen-Carpiquet Airport. This is a free to use facility, enabeling you to book direct with the company quoting the price. 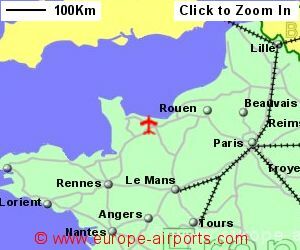 Caen-Carpiquet Airport, otherwise known as Airport, is located 6km west of Caen city centre, on the Normandy coast. 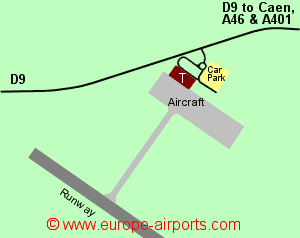 The airport is conveniently situated beside the E46 Caen ring road and near the E401 to Rennes. A bus service connecting the airport to Caen city centre runs every 15 minutes during the day and costs 1.50 Euros. Taxis are available, and a trip to Caen centre, the railway station, or the local Memorial Museum should cost approximately 25-30 Euros during the day. Passenger numbers for 2017 totalled 180,000, an increase of 30% from the previous year, and the busiesst year yet.